I should be embarrassed to say this, but I don't know how to ride a bicycle, :), so it's odd that today I'm posting in regards to them. Now, I have ridden a bike before, but I was very young, fell off it, and scraped my legs all over (bad memory), so I think that's why I never got on again and really learned to ride it. That doesn't keep me from admiring these so cool, totally customizable Villy Custom Cruisers, though. 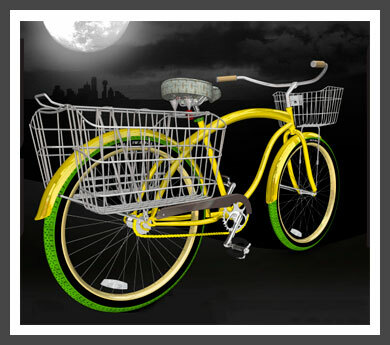 This is the one I customized...how fun it would be to ride this to the farmers market. It's got quite a lot of space to carry the groceries back, for sure. Especially with these patterned seats. 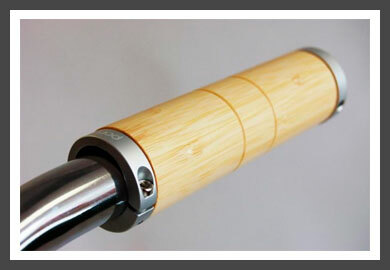 And check out the these sleek bamboo wood handle bars. 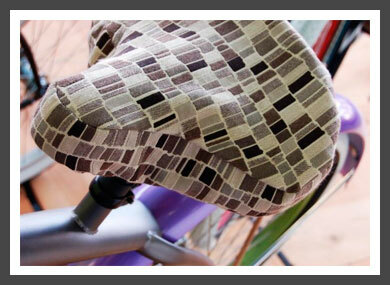 Just the right natural feel in your hands as you ride. This is one of my favorite combinations. I like the turquoise and brown color palette, and the seat pattern compliments it very well. 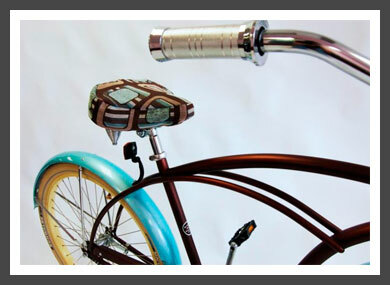 The steel handle bar just adds the touch of bling. I leave you now with great wishes for this Easter Weekend. 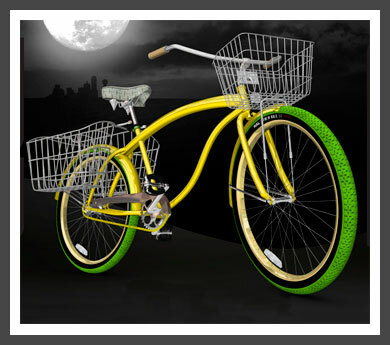 I hope you can take a ride around the block to enjoy the warm San Diego afternoons. See you Monday!